Undergoing a digital transformation is a much more involved process that simply handing out smartphones to employees. Rather, it requires a change in culture at an organization, at all levels from the CEO to every employee at a company. While the term digital transformation has become a buzz word in the tech industry, businesses that actually take the time and put in the work have seen surprising results and even increased revenue. 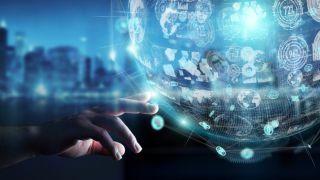 TechRadar Pro spoke with Wipro Digital's President Rajan Kohli who shared his insights from the company's own digital transformation efforts. Is it time to swap digital transformation for perpetual innovation? 1. Why has digital become such a large part of Wipro’s business? Was this due to clients, changing society, etc.? Better experience delivered at scale is the source of differentiation for our clients. Most products and services are underpinned by technology. Our clients are faced with ever changing consumer behaviors, forcing them to change, evolve and become more digital. We recognized that digital would become critical for any company to change, grow and out-perform, let alone survive. While our clients have been undergoing change and seeking more digital services and solutions, Wipro has also been changing, integrating digital ways of working, mindset and technologies into our solutions to become a provider of human centric products and experiences for our clients. 2. What has been the most successful change in Wipro’s digital business? It all started with the decision to establish Wipro Digital and allow it to incubate outside the traditional Wipro service-line structure. Once the unit established its source of differentiation, we brought it closer to Wipro to influence the culture, client relationships and ways of working of the company. That has proven to be a very different setup from many digital units within larger companies and a key to our success. Second, the acquisitions of Designit, Topcoder and Appirio brought significant skills and scale to critical areas like design, crowdsourcing and cloud. Third, we have created a ‘digital ecosystem’ within Wipro to make sure we offer the full breadth of Wipro’s capabilities to a client. Wipro Digital is the tip of the spear and is backed up by deep domain experience and engineering strength at scale. And lastly, we also brought our consulting practice under Wipro Digital. Again, this is more than an organizational change. ‘Consulting services’ and ‘helping clients change how they work’ must be part of any digital project. Without it, companies are just ‘doing digital’ when they really want to ‘be digital’. 3. What is Wipro’s larger transformation story? Why did the company choose to undergo this transformation internally approximately 4 years ago? Wipro wanted to evolve with the changing consumer, client and technology landscapes. The company wanted to move away from being a leading provider of IT services to a transformation and digital partner for its clients. Our clients knew ‘why’ they needed to change but were struggling to define the ‘what’ and certainly needed help with ‘how’. We built the capabilities on this value chain to become a single provider to deliver ‘imagination to execution’ services at scale. There are very few providers who can truly claim that spot. 4. What is Wipro Limited’s philosophy towards digital transformation? Digital transformation has become a subject that all enterprises need to take into account. However, there are many companies that fail to approach digital transformation with the right strategy, mindset and c-level sponsorship. Many enterprises either attempt a large and quick overhaul, or opt for many small, siloed changes. We think transformation needs to be delivered at the intersection of strategy (viability), design (desirability) and technology (feasibility), and delivered through the new ways of working that allow these capabilities to deliver at velocity. 5. In what other ways has Wipro been able to transform itself in the digital space in order to better help customers? In addition acquisitions, how have internal business units changed? I think the biggest transformation has been in the type of problem statements that we have been asked to solve and the questions our clients are asking us. How do I improve my product for this market? Can you launch a new service in his domain? Can you help me match the velocity of these start-ups? We did not have the brand permission to be asked these questions 3 years ago. Second, the way we approach these problems is now very different. Human centric strategic design has helped transform our service portfolio including some mundane services like service desk.